Our SIP Trunking packages allow you to connect your IP-PBX to Easytel network to leverage our industry leading international rates, our flat-rate domestic termination and our vast origination network. Will my IP-PBX work with Easytel? 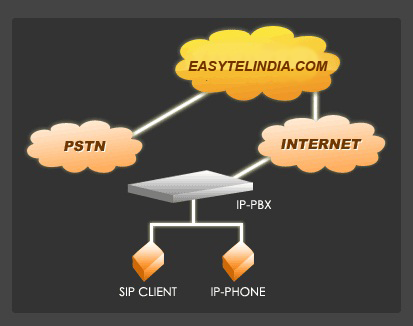 Easytel has guidelines to allow any SIP-capable IP PBX to connect to its network. Absolutely! Easytel has extensively tested both Asterisk and Trixbox and we have customers routing millions of minutes a month using these platforms. Easytel's network is fully T.38 compliant to support reliable fax over IP. What new phone numbers can I get? Easytel offers numbers in any of the lower 48 states, regardless of where you are physically located. Yes, there is no charge to transfer (“port”) your existing numbers to Easytel. How much bandwidth does it take? A typical call using G.711 will require 84k of bandwidth, meaning over a T1 connection you could establish 18 concurrent G711 calls. If your PBX supports it we also offer a lower bandwidth codec, G729, which requires only 19k of bandwidth per call, which will allow you to establish a staggering 81 concurrent calls over that same T1.